I remember as a student, I just could not get the form of the model in drawing. Erasing the paper until holes appeared, I could not achieve integrity. The details were too distinguished and persistently jumped in foreground. Givi Siproshvili for the readers of the ”Russian Art & Paris”. Interview of the artist Givi Siproshvili for the “Russian Art & Paris” journal. RA&P: – Givi Iraklievich, the twentieth century has already become history. What is most memorable for you? Givi Siproshvili: – Looking back, it seems to me that the worst event was the fall of the Soviet Union. On the other hand, countries received their independence, and people their freedom. This includes the freedom to move around the world, and the happiness of developing an identity. This is wonderful! RA&P: – Will the artists of the twentieth century influence the development of visual art in the future? 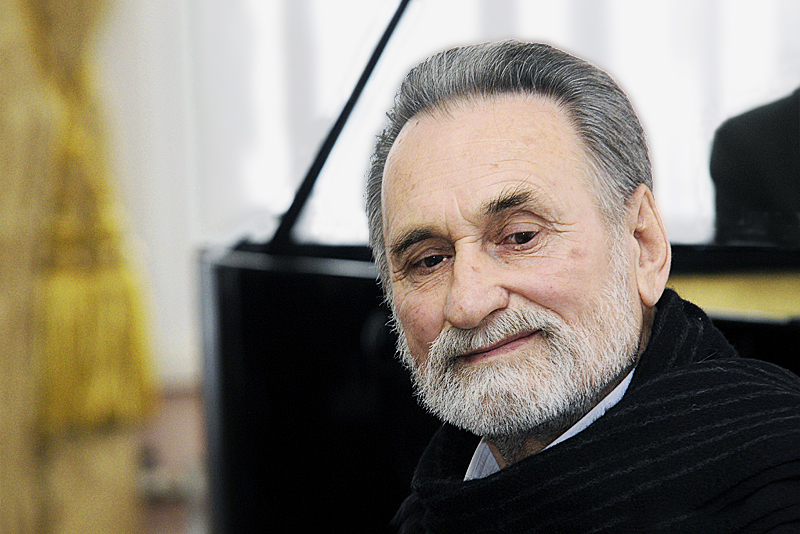 Givi Siproshvili: – In my opinion, not only old classical masters influence the formation of the relations with art. Artists such as Picasso, Dali, Malevich, Kandinsky, and Chagall will remain in demand in the future. I think that in modern day Russia, there are many outstanding artists, who will in the near future attain a worthy place in the world stage. RA&P: – You have created colorful and memorable imagery. Is it possible to view your creative work as a continuation of the traditions of Bosch and Bruegel? Givi Siproshvili: – To be honest, I always wanted my works to show the character and state of the human soul; this is probably where the influence of old masters on my work is visible. Many of my characters are fictitious, but arise from everyday observations in life, from live sketches. RA&P: – You have many works of the portrait genre. Which would you like to note? Givi Siproshvili: – I received greater joy from the portrait “Einstein”. I believe that in this work, I was able to convey a sense of purpose, energy, and the freedom of thought of a scientist, qualities which would help him make many discoveries. Of my recent works, in my opinion, interest arises towards the work named “New Neighbor”. This painting depicts the personality of the character and the relationship between two neighbors. Similarly, I have a dream to paint a portrait of the great Georgian singer Nani Bregvadze, but this dream still remains a dream. RA&P: – Have their been failures in your long artistic career? And, to the contrary, which works do you consider the most meaningful? Givi Siproshvili: – Life had rises as well as falls. One of these falls occurred when most of my completed works were stolen, around seventy paintings prepared for an exhibition. The crisis lasted for almost ten years, my paintbrushes had a good rest. But afterwards, little by little, everything returned to normal. Among the most interesting of my works, I consider the painting “Trinity”. RA&P: – There are many female faces on your canvases. Which women attract you in life? On June 25, 2012 by internet from Georgia. Copyright by Russian Art & Paris. Why has it long been assumed that Russians and Georgians have much in common? These days, when relations between Russia and Georgia are minimal, Georgia lives in the heart of even those who have never been there. At fault here are the artists and the “deep and burning passion of a northerner for the south” as art critic and artist Alexander Benois wrote in the early 20th century. Artists never have easy fates, and the year of Givi Iraklievich Siproshvili’s birth – 1940, speaks for itself. In his seventies, the artist had to move to Russia, and not from any attraction towards moving. Growing up on the warm, bright, and gently land of Georgia, the artist does not separate himself from its culture, he is part of it; part of it in both past and present, he professes her moral laws, the high degree of his national temperament does not diminish with age. • In view of sad circumstances, there are almost no works of his from the 70’s through 90’s, but a review of his works from the 2000’s gives a vivid understanding of the creative and life restlessness, his constant search for ways of beauty and truth. This is the search of a wise man and mature master. In no sense is he associated with the speculative and hasty search of his own “I”. In the creative way of this artist, one can feel the Eastern self-sufficiency of a person of an ancient culture. • The earliest of his works – “Spring. Schoolgirl”, “Clown”, and “Echo” have varying pictorial and stylistic manners. They can contingently be called the starting points of several artistic cycles. Despite the difference in objectives, these works are united by the interaction of space and shape. The space of the artist’s painting is always tense, saturated; seems that as if by itself, it sculpts or carves the image. The space of the picture is formative, within it are new and unknown possibilities of representationalism, potential existences of shape, and the seed of its development. • The artist’s palette can be as exceptionally colorful (“First Kiss”) as ascetically-restrained (“Veteran”, “Refugees of Abkhazia”). In these works, the theme of which is painfully experienced by the artist, the land and the people make up a single whole, a single flesh. The people, leaving or dying, dissolve and remain in it. The pictures Givi Siproshvili contain many details that are connecting threads between the temporal and the eternal, between the past and the future. The painting “When the Call Will Ring” is bitterly poetic and bright, where the transcendental world is attractive and luminous. Yet keeping its soul, the earthly sprout is even more brightly luminous. “Pirosmani’s Death” is inherently as much of a self-portrait as the “Self-Portrait. Hunting”, as if they are both fashioned from a single colorful dough. Self-portrait is also quietly present in purely formal solutions, such as “Melancholy”. With that said, the distant past, the real world, and the imaginary world permeate the artist’s soul, and become its imprint on the canvas. • The technical side of the works of Givi Siproshvili is astonishing due to its wide diversity: somewhere it’s a large colorful plane, laid out with a palette knife (“Night Butterflies”), somewhere it’s a malleable, ductile smear, simulating the shape (“Evening Bells”). In some works there is a hard granular texture with colorful backings, embossing, scratching; it becomes precious and requires just a fine touch of a paintbrush for the birth of an image (“Rest,” “Roses”). Many techniques are the unique invention of the artist: “Kakhetian”, “Doctor and Patient”, “Two”. The artist’s work with texture gives his paintings a unique preciousness. • No matter how interesting the techniques may be, neither they nor the craftiness makes the paintings of the artist Givi Siproshvili a striking phenomenon in visual arts. In his works – philosophical parables, live landscapes, fantasies, and still life – there is an idea, a soul, a broad emotional palette, and most importantly, love, without which the secret of art cannot be born. member of the Union of Artists of the Russian Federation. 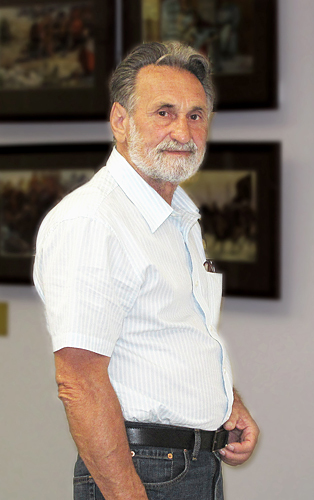 Siproshvili Givi Iraklievich, a painter and graphic artist, was born in 1940 in Georgia. In 1971 he graduated from Tbilisi Academy of Fine Arts with a degree in painting. His teachers at the Academy of Fine Arts were well known artists as such Kornelli Sanadze, Koki Makharadze, Lapiashvili, Ucha Japaridze. 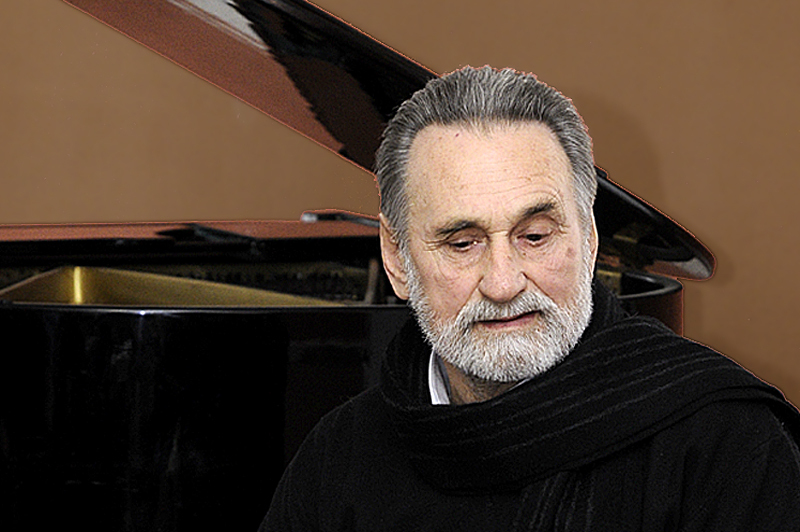 Since 1974, he has been a member of the Union of Artists of the USSR and Georgia. Since 2000, he has been a member of International Federation of Artists (UNESCO). In 2009 he received the “Talent and Vocation” award from the international alliance “Peacemaker” in the field of culture and of art. 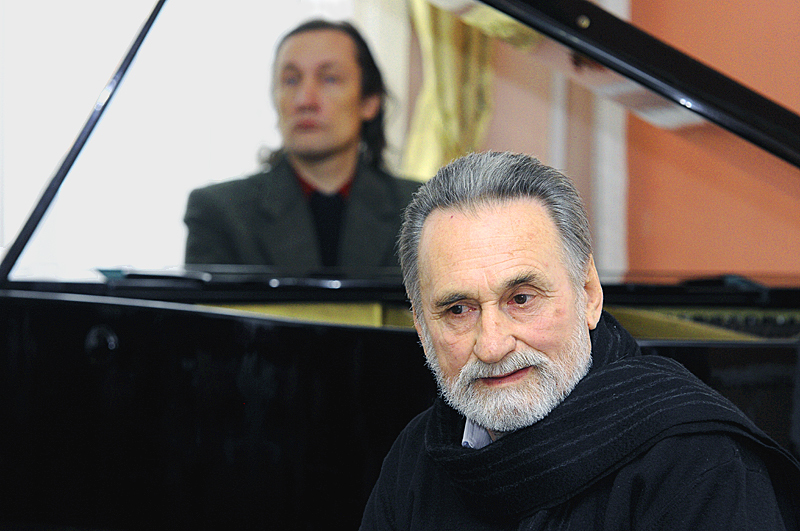 In 2009, he was recognized as an honorary citizen of the town of Forte dei Marmi in Italy, where he represented Russian art at the festival of Russian art and film “Maestro”, and was awarded a medal by the mayor. 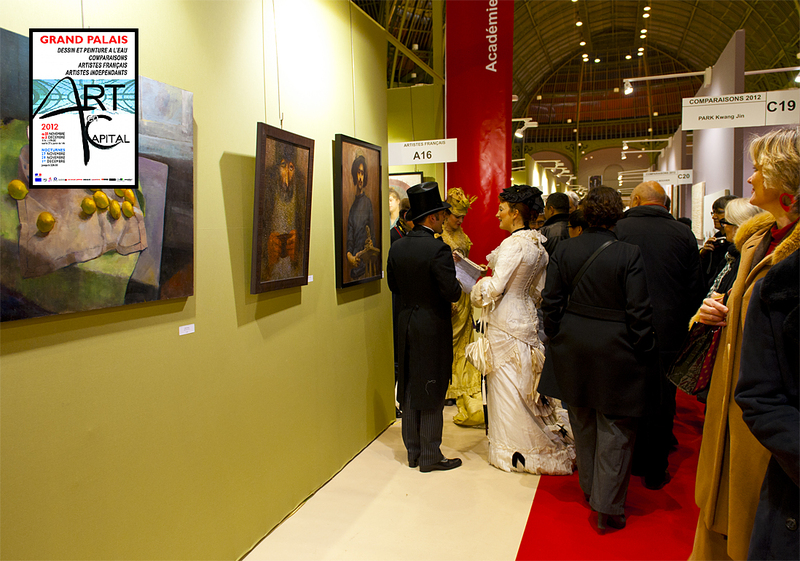 Painting by Givi Siproshvili in the exhibition hall of the Salon “Art en Capital” 2014. Painting “Attraction” received “Prix Reijinsha-2014″ award. Eccentric, a modern-day alchemist, a man with one leg in this reality, and one leg in the other, strangely suspended between a world where gravity exists, yet does somehow not seem to affect him too much. Truly brilliant! Wow! I’m genuinely enjoying the layout of your web site. Are you using a custom theme or is this readily available to all individuals? If you do not want to say the name of it out in the general public, please make sure to e-mail me. I’d really like to get my hands on this theme! Thank you. Really decent posting on Artist Givi Siproshvili,(Ryazan) “Russian Art & Paris” ! !